In January of 2019 we received an email from a young gentleman in Ohio. His brother had purchased a home and found some items in the attic. He sent pictures that were an incredible surprise. 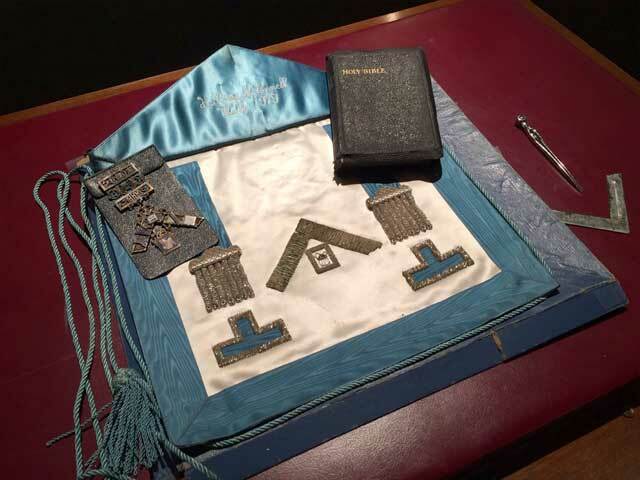 It was the Past Master's apron, jewel and a 25-year pin belonging to John E. Mair Brother Ross McConnell who passed away in 2013. Adam Burns (middle) offered to drive in all the way from Cincinnati to visit our Pancake Breakfast to deliver the items. Adam was kind enough to reach out to us, and generous enough to make the drive with his friend John Taggart (right). 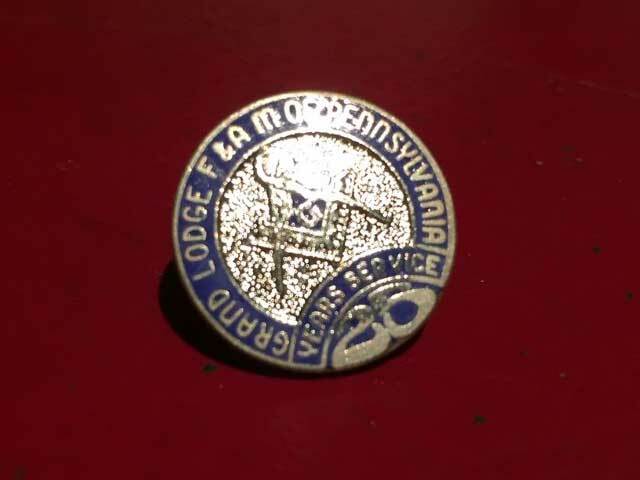 To say that brother Ross McConnell was influential to John E. Mair Lodge #729 F&AM (serving as Worshipful Master in 1979) and community would be an understatement. 2-time John E. Mair Lodge Past Master Frank Burk, a contemporary of Ross' in our Lodge and current elder statesman, remembers his time behind Ross in the Chairs. Frank joined in 1970 and became Worshipful Master (for the first time) the year after Ross in 1980. 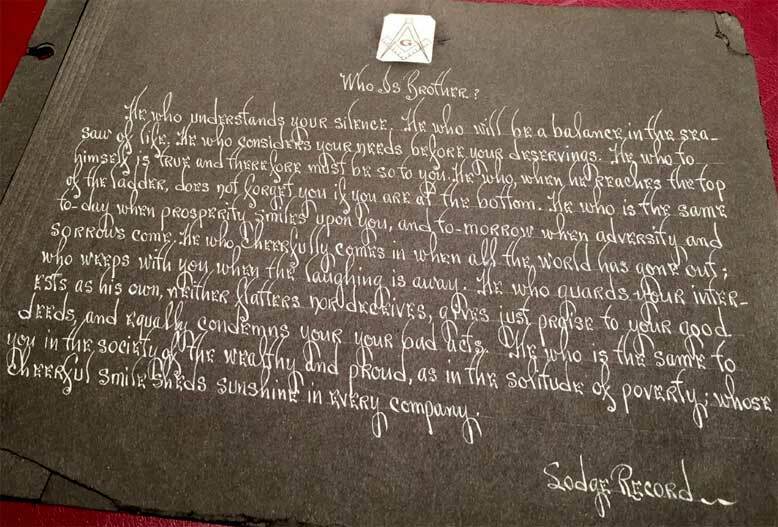 "In those days it was a whole different world in Freemasonry. There was a friendly competition between us to see who would get (WM) first. In those days you had to give the 3rd degree before you could assume the Masters chair. My work obligations helped Ross to beat me to it. Then I followed him through." Our current lodge at 340 Clay Ave. might not exist without Ross' hard work. "Ross and Paul Smith put it all together and got it rolling," Frank said. "Everybody got behind them. He was able to rally support. Everybody was working to gather donations to help with the new building. Ross was the one that spearheaded the effort." "Ross took pride in teaching new members and taught a lot of them in those days. 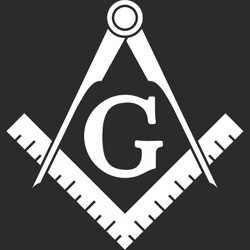 He was a very dedicated Mason," Frank said. Born in Aliquippa, April 9, 1943, he was the son of the late Henry and Alberta Sayers McConnell. Ross was a graduate of Hopewell High School and served our country in the Army. He was a member of St. John Lutheran Church. Ross was an operations manager for US Air in Pittsburgh. After retiring from US Air, Ross found his most fulfilling career as a school bus driver for A.J. Myers and Sons for the Mars School District, where he often referred to the children as his "precious cargo." 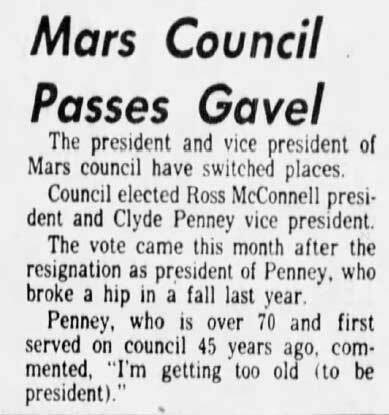 He was elected President of the Mars Council in 1979. Ross also served on the Mars school board. His love for the children of our community was evident with the establishment of the "Ross McConnell Memorial Scholarship." Two Mars Area High School seniors currently enrolled in the Butler County Area Vocational-Technical School each year are eligible to apply for and receive one of two $500 yearly scholarships. H. Ross McConnell, 70, of Mars, passed away on May 27, 2013, in UPMC Passavant, McCandless. Also included in the case which held Ross' apron was an aged folder which contained an equally aged sheet of construction paper. On the paper is a poem written in calligraphy. The origins of the content of the poem date to at least the late 1800's, and it has had many titles. We like "Who is a Brother," which has a nice ring to it.. He who cheerfully comes in when all world has gone out Who weeps with when the laughing world is away. He who considers your need before deservings. He who understands your silence. He who rejoices at your good fortune condones your faults sympathizes with your sorrows is at hand to help in misfortune and is a safe fortress in trouble. He who when he reaches the top of the ladder does not forget you if you are the bottom. He who to himself is true and therefore must be so to you. He who is the same to day when prosperity smiles upon you and to morrow when adversity and sorrows come. He who guards your interest as his own neither flatters nor deceives gives just praise to your good deeds and equally condemns your bad acts. He who is the same to you in the society of the wealthy and proud as in the solitude of poverty whose cheerful smile sheds sunshine in every company. He who will be a balance in the see saw of life. 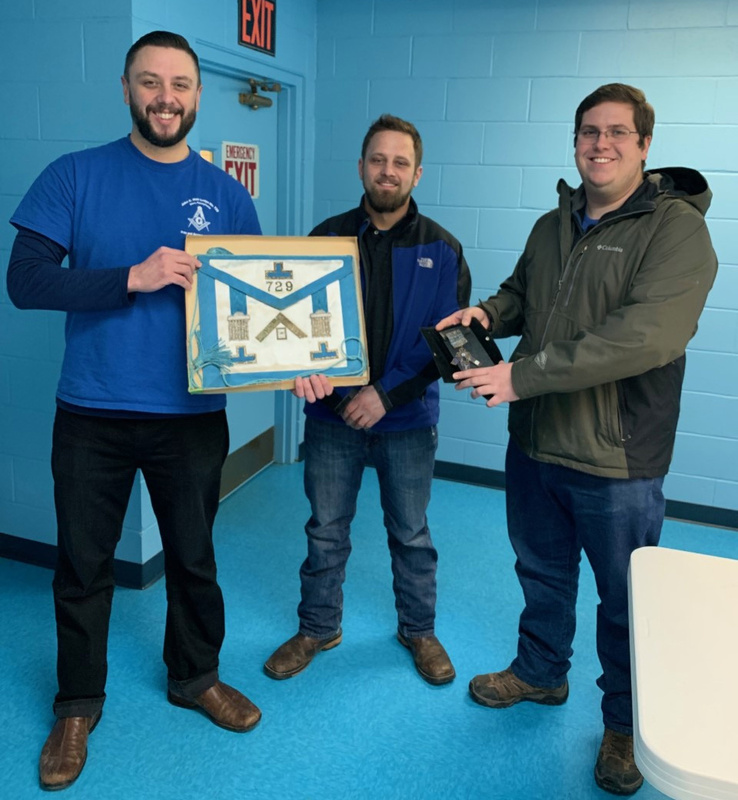 We have served as home for masonic brothers here in the deep south of Butler County since our founding in March of 1924.